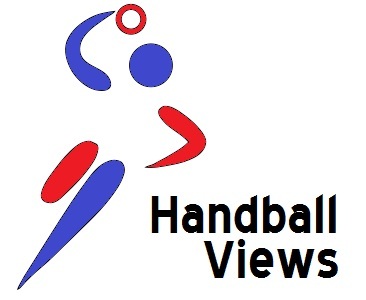 Thanks to the good offices of the indefatigable Rena Fairbrother (find her on twitter, your handball life will be better) Handball Views is pleased to be able to present an interview with Holly Lam-Moores, British international and current Viborg HK player. In the interview, Holly talks about the highs of the Olympics, the relative lows of what’s followed and her future plans, as well as her hopes for handball’s British future. It was recorded after the recent Esbjerg-Viborg game. Apologies in advance to Alison Chowns, the splendid interviewer, and Holly herself but I can no more edit the file than you could find the stop button at the end of the interview. The last day of action in Groups A and B sees two matches out of the six that are head to head to battles that will determine progression. The rest are dead rubbers – although group rankings obviously impact on who teams will face in the knock out stages. Just to repeat myself: to see any of these games go to either livehandball.tv or Bet365.com. There is no UK TV coverage. The non-essential games are (all times UK): 5.15pm unbeaten France against variable Germany; 7.45pm eliminated Montenegro against qualified Brazil (both Group A) – and 2.45pm 2-1-1 Russia against 0-5 Chile; 7.15pm cruise control Denmark against already through Macedonia (both Group B). The match that matters in Group A is Argentina versus Tunisia and it’s on at 3pm. Argentina opened with a good win against Montenegro but since then have lost to Brazil, Germany and France by reasonable margins. Tunisia are in the bizarre position of having beaten Germany and run France close but still facing elimination after they came unstuck against Brazil. A draw will be good enough to put Tunisia through but if Argentina win then as head to head is (apparently) the first determiner they will progress as both teams will have four points. I’m still backing Tunisia but they will need to solidify at the back and bully Argentina as they almost bullied France. Argentina sleepwalked through the match against France but will be stronger today. It should be a good one. In Group B it really should be a comfortable win for Iceland over Qatar (starts 5pm). The only reason for thinking otherwise is that Qatar have been okay when it comes to attack so should score enough to keep the match interesting and that Iceland have been wobbly in crunch moments both in this tournament and in the Olympics (remember back to their penalty miss that would have won the match against Hungary). If we get to the last stages and its close we could see nervousness and that might produce the upset. A draw will see Iceland through – if Qatar win then both teams will have four points so they should progress on the head to head. 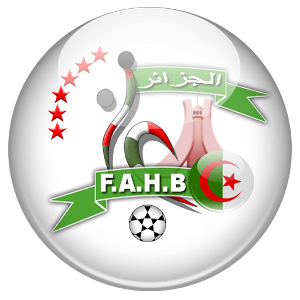 The badge of the Fédération Algérienne de handball. It’s awesome. There will be an opening ceremony at which pretty people will sing and dance about unity and harmony, and possibly mime throwing a ball into a happy net … and then the players will come on and get down to the nitty gritty of trying to win a world title by brutally beating everyone else. Today there is but one match: the hosts Spain take on Algeria (starting at 6pm UK). Spain are the 2005 champions, ranked 8th in the world and are hosts. Algeria are ranked 21st in the world and finished second to Tunisia in the 2012 African Championships. The two teams met during qualifying for the Olympics – Spain running out 28:20 winners in Alicante. Anything other than a massive, morale-boosting win for the Spaniards will be a major surprise. Expect the Algerians to push the boundaries of legal defence to the limit if they are to stay close and try and sneak something. The match isn’t live on UK TV. 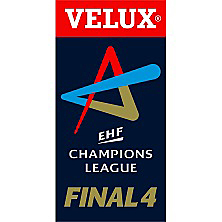 If you want to watch you’ll need to spend £39.99 subscribing to livehandball.tv (this covers every match in this tournament) or deposit any sum in a Bet365 account and watch the lower quality live streaming there.